Facebook keeps on changing its ways. The recent change prevents you from getting notifications from a page that you might have Liked. Unless, of course, you make certain changes in some settings. 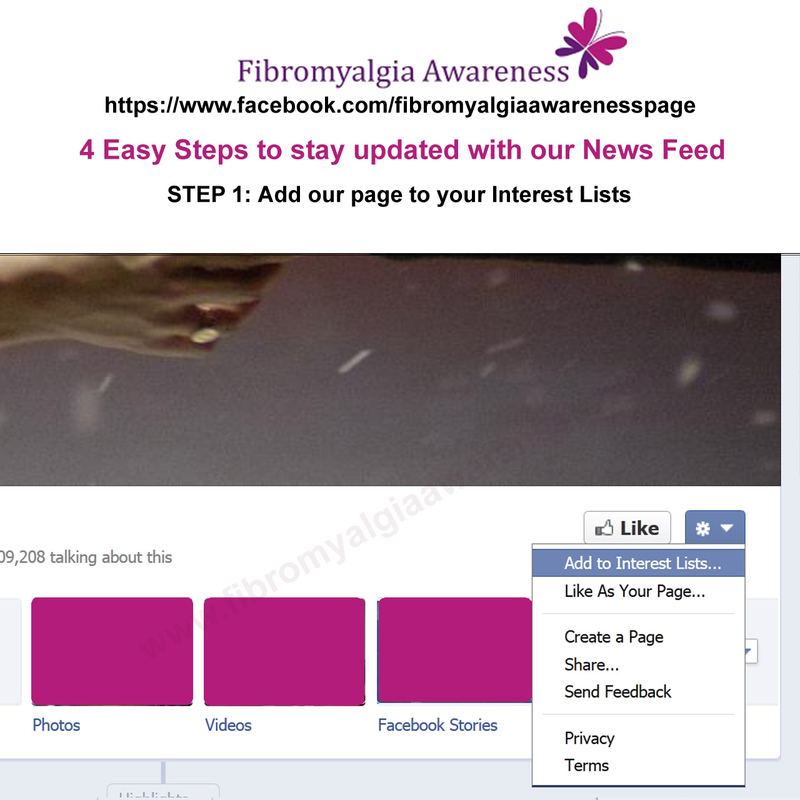 We have been getting queries from many fans that they are not getting our updates in their Facebook News Feed. So if you are wondering where we have disappeared, let us tell you that we have been more active than even before. 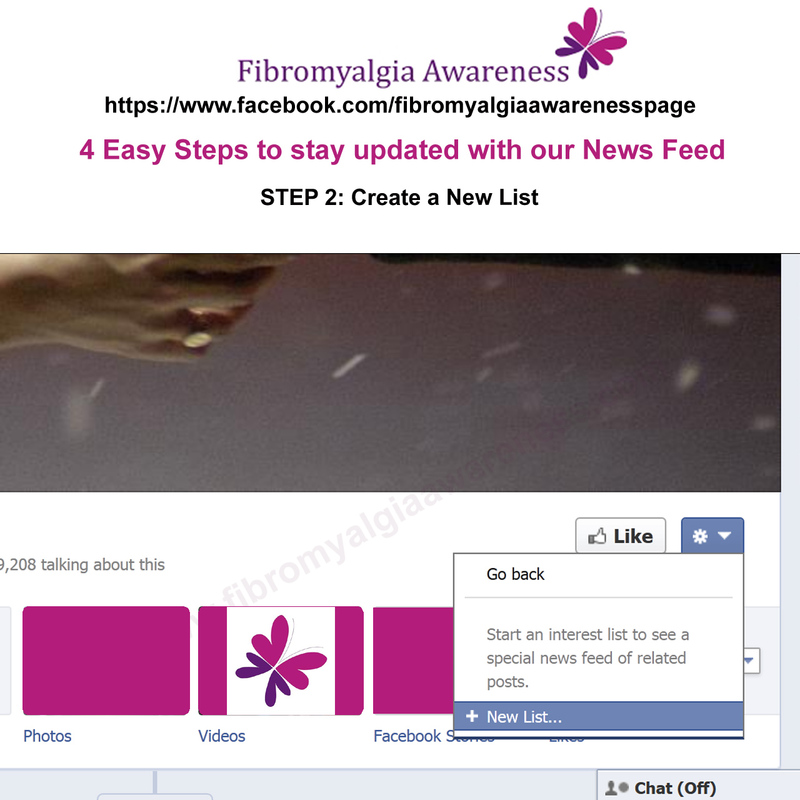 However, we just realised that you are simply not getting our posts in your News Feed. 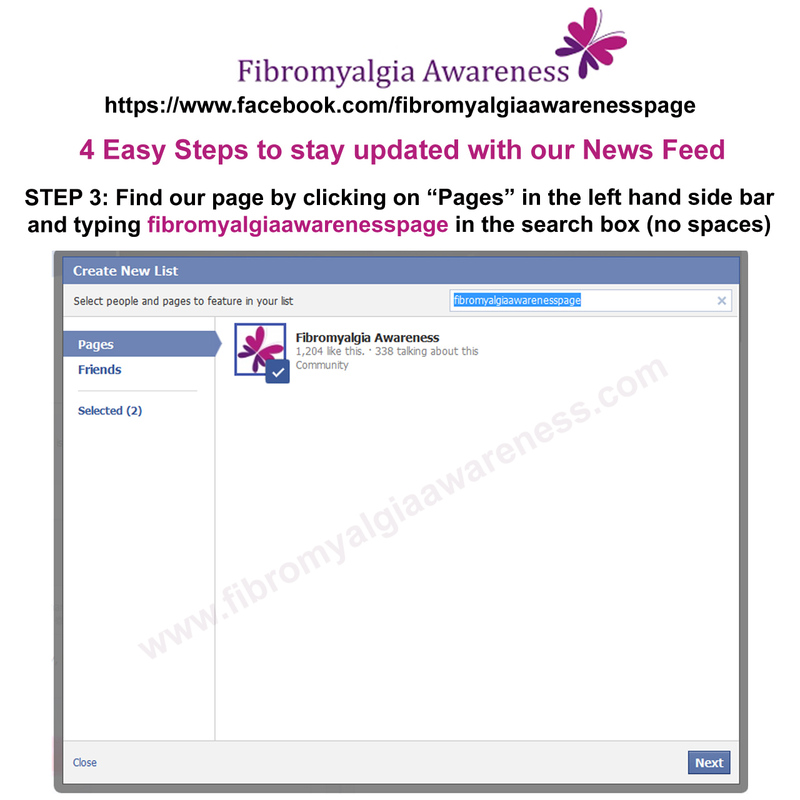 So we have explained below 4 STEPS TO STAY UPDATED WITH THE NEWS FEED of your favourite Fibromyalgia Awareness Page. Hope it helps you! 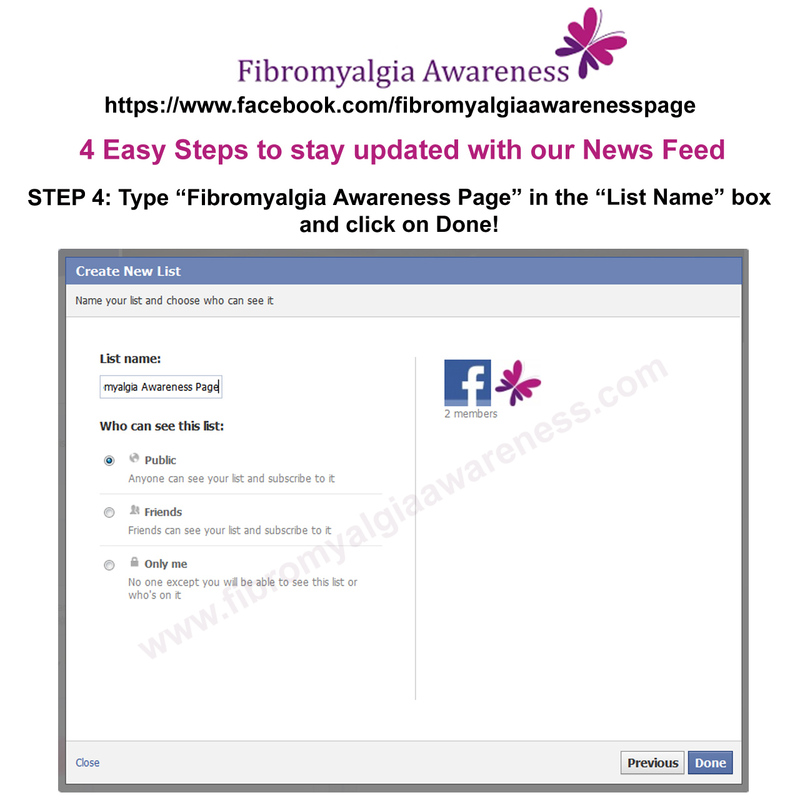 So add us to your Interest Lists NOW and stay connected!